David Sal Silva was a father of four who was savagely beaten to death on March 8, 2013, by seven Kern County Sheriff's deputies and two California Highway Patrol officers in an unincorporated area of Bakersfield, California. This was the third fatal beatdown perpetrated by Kern County Sheriff's Office personnel since 2005, and the fifth questionable death at their hands. This web site hopes to achieve Justice for David Sal Silva by working towards two goals: The prosecution and imprisonment of his murderers, and an effective reform of the Kern County Sheriff's Office so as to ensure this never happens to anyone again. What are you doing? What can we do? 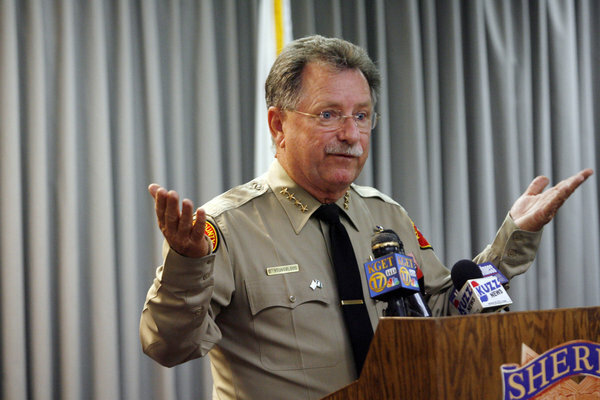 Meet Donny Youngblood, the helpless, ineffectual Sheriff of Kern County, California, whose deputies and jailers have beaten to death at least three men, two while he was Sheriff and the third while he was temporarily retired after serving 30 years as a deputy for the Kern County Sheriff's Office, one of the most violent, abusive agencies of its size in the county. If nine private citizens had behaved as his deputies and their CHP cronies behaved on the night David Sal Silva was savagely -- and fatally -- pummeled with steel batons, they'd be sitting in the Kern County Jail contemplating murder charges. Thanks to Donny's utter lack of leadership, integrity and responsibility to the citizens who elected him, these criminals are already back on the streets with their guns, badges and batons. Its only a matter of time before another unfortunate human being meets the same fate as David Sal Silva. It's happened three times already; it will happen again.